After slicing the last of the tri-tip and pork loin for the demo in Arizona we got back on the road to continue the journey to the BBQ Mecca. The road through the desert of West Texas is a long and beautiful road especially during the sunset with the pink and red skies. 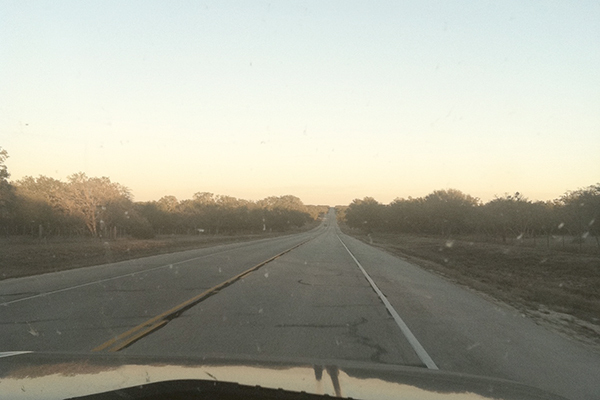 As we traveled into the heart of the Hill Country the desert gave way to rolling hills of oak trees and large ranches. 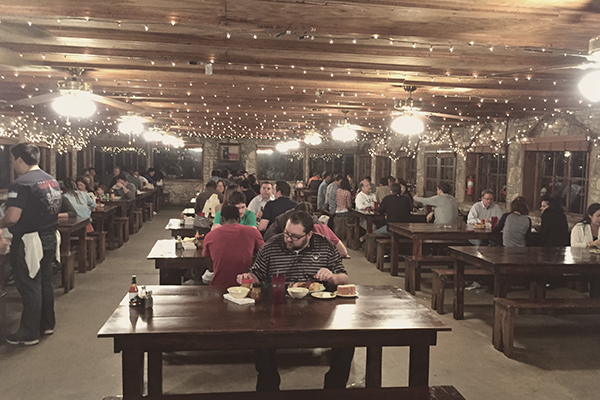 Our first stop on our Texas BBQ crawl was the well known Salt Lick in Driftwood TX, let me first just say this place is huge and in the middle of no where. 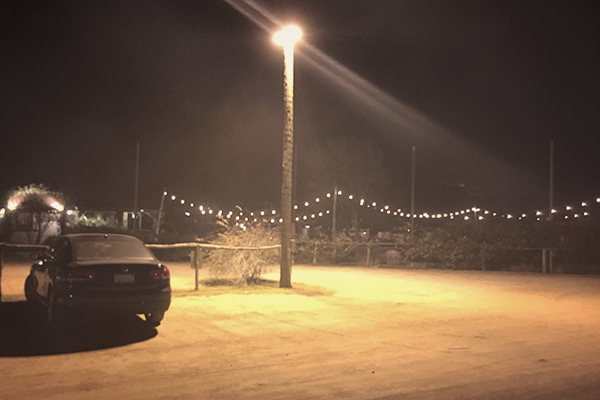 We pulled into the dirt parking lot and the air was filled with dust and sweet BBQ smoke, strung lights decorated the large ranch and lit up the trees on the property. We walked around exploring the property and eventually found our way inside. As you are greeted by the friendly staff you first encounter their famous open pit. The pit is heated with oak and wet pecan shells are added to smoke, its a site and smell to behold. We knew we would be eating a lot of BBQ on this trip so we had our game plan set of ordering a 1/4 pound of each places top meats (which ended up still being way too much food). 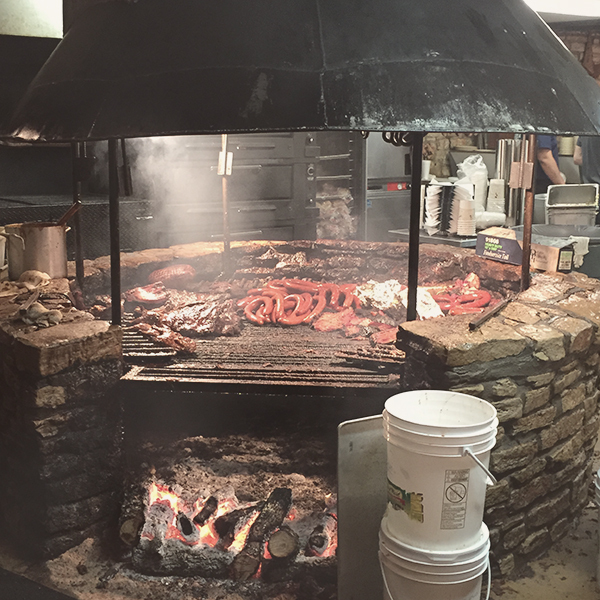 At The Salt Lick we ordered brisket, sausage and ribs. 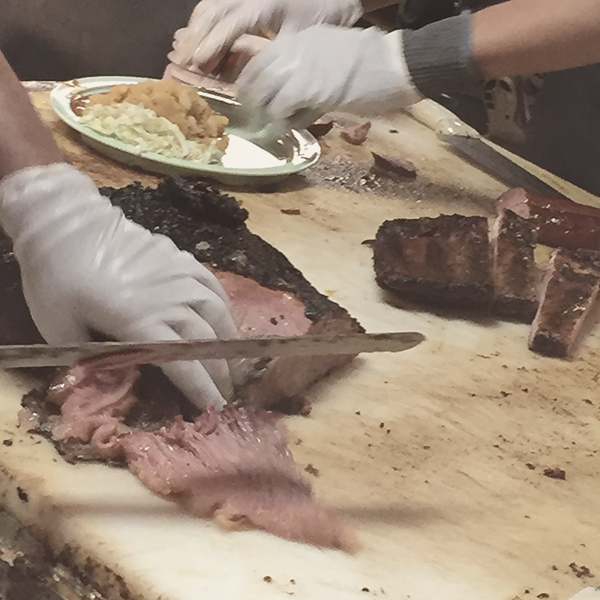 The service was very fast and before we knew it we had our first plate of Texas BBQ in front of us. 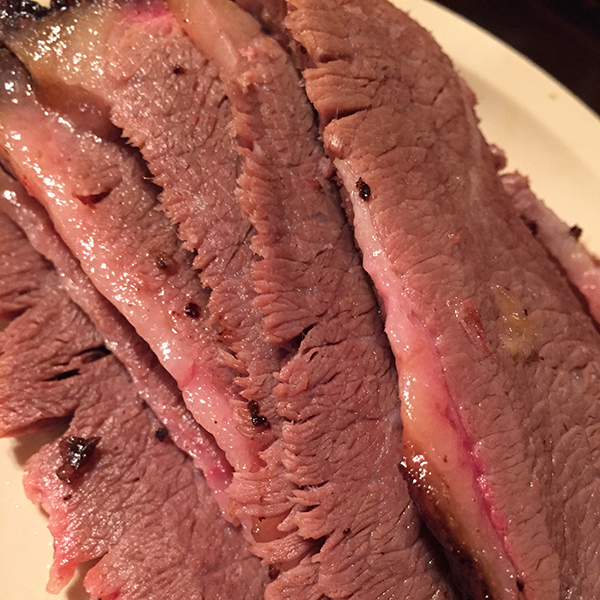 The Brisket was great with nice texture and smoke. Their sausages are a little different then what you would normally find in the central Texas area, it was a fine grind and similar to kielbasa and very tasty. The pork ribs were my favorite. 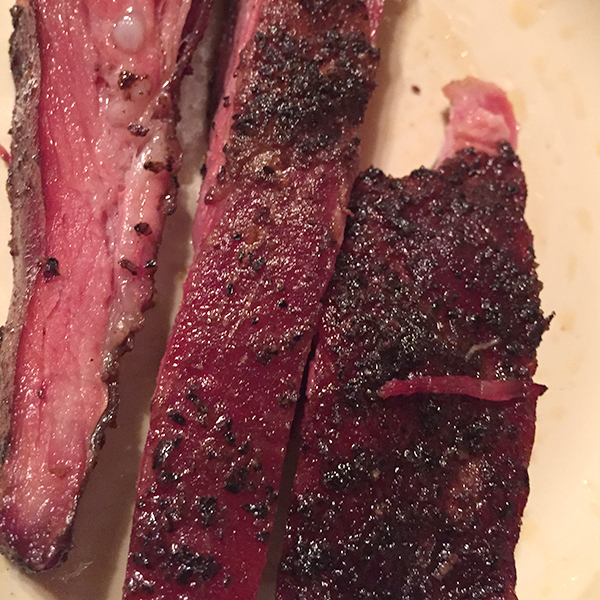 I never planned on ordering pork in Texas since they are known for beef but these ribs are a fan favorite at The Salt Lick and now I know why, they were rich, smokey and peppery (the perfect rib).